How much council tax will you pay in Mansfield? Council tax payers in Mansfield are set to see their payments increase this April as the new financial year comes into effect. Residents in Band A properties across the district currently pay a total of £1,251.37 per year in council tax, or £1,274.22 in Warsop. The average calculator for national properties, a Band D property, currently pays £1,877.05 per year in Mansfield and £1,911.83 in Warsop. Council tax is split into precepts, with Mansfield District Council, Nottinghamshire County Council, Nottinghamshire Police and Nottinghamshire Fire and Rescue Service taking a share. Increases in the latter three precepts mean a total increase of £55.24 per year for Band A and £82.96 for Band D.
Band A property in Mansfield will pay roughly £1,306.61 and a Band D property will pay about £1,960 in total. Below is a breakdown of the individual precepts. Mansfield District Council is set to stick to its pledge of not increasing its council tax precept for the ninth consecutive year. This means a Band A property will pay £123.15 to Mansfield District Council per year and Band D will continue to pays £184.72. 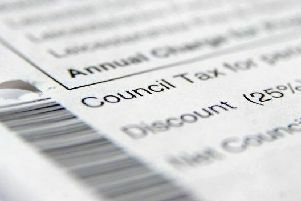 Warsop Parish Council has also announced that it is not increasing its council tax precepts. Warsop residents in Band A properties will continue to pay an additional £22.85 to Warsop Parish Council, while Band D properties will continue to pay £34.28 extra to the parish. However, Nottinghamshire County Council is set to increase its precepts for council tax by almost four per cent. For Band A properties in the county, people will pay an extra £37.75 a year towards the County Council precept, while Band D properties will pay an additional £56.63. At present a Band A property pays Nottinghamshire County Council £946.29 per year, and a Band D property pays the county council £1,476.06 per year. This includes £60.39 for adult social care in a Band A property and £90.58 in a Band D property. It means the total paid in each of these bands will increase to £923.65 for Band A and £1,385.48 for a Band D property overall. The local police precept is also due to rise. There will be a projected increase of up to 12 per cent, in order to fund “18 officers stationed outside the county”. This rise will mean an increase from £195.39 to £219.33 per year for a Band D property from April. Band A property precepts will rise from £130.26 to £146.22. Nottinghamshire Fire and Rescue Service is expected to raise its part of the council tax bill by 2.95 per cent. It means the fire precept for Band D property will increase from £77.51 a year to £79.80. For a Band A property it will go from £51.67 to £53.20. The changes are yet to be formally approved, but they are expected to be voted through later this month.